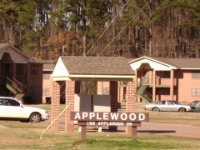 The Mississippi Regional Housing Authority has ten public housing communities consisting of 389 units in six of its nine county area of operation. The Low-Income Public Housing Program is authorized under the United States Housing Act of 1937, as amended. It authorizes the U.S. Department of Housing and Urban Development (HUD) to provide technical and financial assistance to public housing agencies in the provision of decent, safe, and sanitary housing dwelling units at affordable rents to lower-income families. The public housing program is administered at the local level by housing authorities which are non-federal public agencies authorized by state legislation. Housing Authorities function in the capacity of developer, owner, and manager of its public housing developments. The authority has the responsibility for planning, financing, constructing, and managing its properties subject to applicable laws and contractual relationships with HUD and the local governing body. The landlord-tenant relationship of the housing authority is established by virtue of its ownership of the properties and the provisions of individual leasing agreements with its tenants. The housing authority performs all of the functions of a private landlord, including leasing units, collecting rents, maintaining the properties, and all of the other responsibilities related thereto. Housing Authority responsibilities for public housing developments are embodied in the state enabling legislation and an Annual Contributions Contract (ACC) entered into between the housing authority and HUD. A housing authority is required to operate each development for the purpose of providing decent, safe, and sanitary dwelling units within the financial reach of lower-income families and to operate the project with efficiency, economy, serviceability, and stability. of two and three bedroom units.